Sharing – that’s what Theory of Knowledge teachers do. Long before the term “shared knowledge” took its central spot in our course, we teachers were passing around ideas and suggestions for lessons within our own IB community. Myself, I’ve been blogging on TOK for five years now, and you can see some of that history on Activating TOK. This month, though, I’m pleased to shift my primary blogging to the website of Oxford University Press. That is, I’ll post there first, though I will continue to echo each post on Activating TOK. Through the Oxford University Press website, I hope to reach more readers and be able to contribute more to TOK. What’s the connection between the TOK Course Book and this TOK blog? Books and blogs serve different purposes – books to integrate ideas into a large, coherent picture, and blogs to focus on specific points, often touching the passing events and thoughts of the day. You’ll find them useful in different ways in your own TOK course. 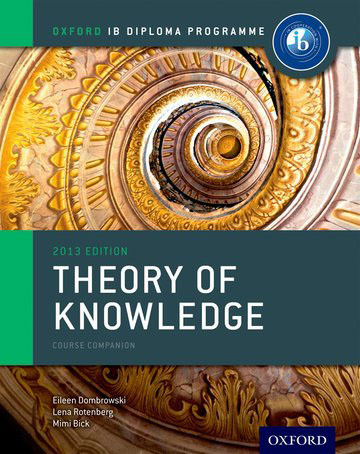 The TOK Course Book, which I wrote with my colleagues and friends Lena Rotenberg and Mimi Bick, provides a comprehensive and stable resource for the whole of the TOK course. In it, I give background on all the topics of the most recent version of the TOK course and abundant activities to launch class discussion. The book encourages inquiry, supports the entire course, and helps prepare students for assessment. A published book, however, cannot respond to a school context and current events as a TOK course should do. To some large extent, the TOK Course Book does set up activities that take students beyond the classroom to find their own examples, and does generate some frameworks for analysis to be applied to present real life examples. Nevertheless, to make the book most useful to you, I had to provide in it mainly activities that take their opening sparks from situations, reflections, or knowledge puzzles that don’t go out of date. I was expecting that, as a TOK teacher, you would draw on the background of the book, but frequently substitute or supplement the examples and activities in the book with ones of your own. You would want to follow your own interests, and to include a variety of materials of the moment. This engagement, after all, is part of the life and fun of the course. The blog, I hope, will contribute ideas to this fresh edge of your class preparation. Although it’s more transient than the book and more scattered in its focus, it’s freer to catch events in the world as they pass. It can pick out current research and news stories and suggest how to use them in class. It can pause to reflect and to chat about the course. 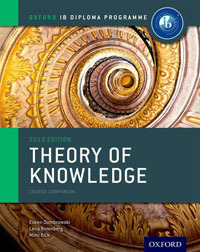 It’s a passing resource – but it’s one deliberately designed for TOK, and it complements the book. Joining me in blogging is my husband Theo, so occasionally the voice will change from alto to tenor, and the preoccupations will shift. Theo enjoys critical thinking applied to news stories (as students are expected to do in their Class Presentations), while I’m more inclined to link topics in the world with TOK classroom discussion and to comment on the course itself. Be warned, though! We’re not the voice of the IB. Although we’ll always keep our comments in harmony with the TOK subject guide, we’ll express lots of opinions and indulge our own senses of humour. So read what we say with your own critical filters! But – as you know — sharing is like that! This entry was posted in IB Theory of Knowledge and tagged shared knowledge, sources. Bookmark the permalink.